The Academy was founded over 30 years ago with the goal of creating the ultimate music education experience. With that in mind, no corners have been cut in any area of our program. Our no-compromises approach results in tremendous student progress and accomplishment. We have quite possibly created the greatest music education value on the planet. No one else is even trying to do what we do. See what our private program is all about! Why do our students do so well? Our comprehensive program provides everything necessary for a student to thrive. There's a lot to it and we could talk about it all day! The following information should give you an idea of what makes us different. When you're ready to get started, give us a call so we can personally find the best place for your student. We look forward to working with you soon! Finding great teachers for your students is the most important thing we do. Our hiring process is rigorous and thorough. Only talented and gifted musicians and teachers are invited to join our faculty. The behind-the-scenes operation creates freshness, growth, positive interaction, and the implementation of proven teaching methods. We have created an exciting work environment that eliminates the typical teacher problems of boredom, stagnation and burnout. Students benefit from the best ideas of many teachers instead of the old ideas of one. And don’t worry, this is not assembly-line music teaching. Students receive individualized and custom-fit instruction based on their own needs and desires. Once hired, our teachers benefit from a wide array of resources and support. Staff Meetings —In this highly collaborative monthly setting, training is given by the director and other highly experienced teachers. In addition, teachers discuss what they have learned in their monthly observations. Finally, open discussion allows teachers to share any curent challenges and receive helpful ideas from the group. Mentoring Time — Every month, teachers meet one-on-one with the director or a senior faculty member to discuss the needs and progress of each of their students. In addition to providing a consistent and reliable source of knowledge and support, it also creates accountability which ensures that each student is reaching his or her potential. Training from Outside Experts — Periodically, outside experts are brought in to train our faculty and staff on the specific area of their expertise. This is an incredible opportunity for our faculty to learn from a world authority, and then apply this knowledge to their teaching. Other Resources — Our faculty benefits from many other resources including a Reference Music Library, Support from an Office Staff, a Balanced and Comprehensive Curriculum, a Music Buying Service (also available to students), a Gorgeous Facility, as well as many other things. It would be next to impossible for an individual music teacher to create the environment that we work in every day. Can you imagine the difference it makes? Our carefully designed program and curriculum give our students all of the opportunities they need to develop their skills and talents. Some of the student enrichment activities and experiences include technic, performance, composition, theory, ear-training, ensemble, sight-reading, practicing skills and playing the best music from today and the past. The different parts of our program reinforce eachother creating an incredibly effective learning experience. Students gain practical skills that they will use and enjoy throughout their lives. Everything we do is geared toward student progress; this is what you are paying for. We have many performance opportunities for our students including regularly, and frequently scheduled recitals and performance classes. Students will work harder to prepare for a performance and since our students are always preparing for something, they are always doing a little bit more and a little better. At the end of the year, this really adds up. 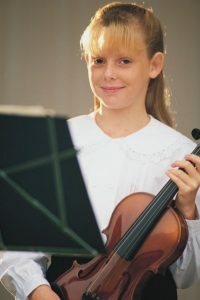 Not every student performs in every recital, though many do, but they are scheduled and ready when the students are. Of course, we work with our students to help them prepare for a successful performance experience. Festivals (depending on instrument) are held twice a year and our Personal Progress Review (most instruments) is held once a year. Festivals — Festivals are a very fun event where students are grouped into three divisions, determined by age, and perform individually for a judge in a preliminary round in the morning. Judges from each division choose 10 finalists to perform in a winner’s recitals in the afternoon. All three judges hear all three winner’s recitals and choose distinguished winners from each division. Distinguised winners receive medals or trophies as a token of their outstanding performances. Though our festivals are held in a very mild competition setting, students receive recognition and positive reinforcement for their efforts and preparation. Personal Progress Review — This important opportunity represents our milestone for the year. 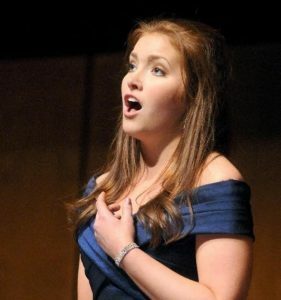 In this event, students perform the music that they have learned during the year for a highly qualified adjudicator. This judge is usually a world-class concert artist, and sometimes comes from out of state. Students receive an incredibly valuable evaluation of their playing which addresses the specific challenges and nuances of their instrument. These events inspire and motivate our students to work hard and prepare well. Much more importantly, these events provide our students and faculty with important outside feedback from highly qualified master teachers. As an Academy, the value of this feedback cannot be understated. This is one of the most important ways that we can determine how well we’re doing. Music theory is the math or science of music and provides the intellectual support for music study. It accelerates learning at the instrument and makes every private lesson more productive. Students work with many media (computers, audio, video, written materials and others) gaining and refining knowledge and skills in theory, ear-training, music history, performance practices and styles, practicing, motivation, and viewing performances by world-class artists. This all takes place in a self-paced and instructor-led environment. The study of music theory and ear-training will be included in any serious music program and is vital to the success of every music student. 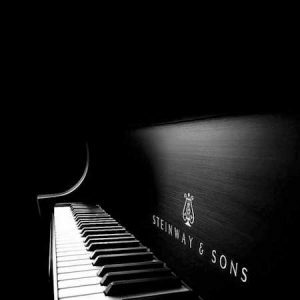 Our facilities are the envy of the industry with concert-quality grand pianos and their own recital halls. Lessons and classes take place in a focused and interruption-free setting. Where appropriate, technology supercharges the learning experience. Our professional and dedicated environment sets the stage for accomplishment. The beauty of private lessons is that they can be scheduled at a time that works for you. The Music Theory Lab is open all afternoon and students come whenever and as much as they would like. There are always multiple Master Classes and Recitals so you can choose a time that fits your schedule. Events are scheduled ahead for the year so you always know what to expect. Finally, our music buying service saves you time and money. When your student needs music, we will pick it up and you will receive a 20% discount off the price. The right music at the right time, and at the right price. Kids love to play and have fun. In fact, this is an important part of the learning process. Our unique situation allows for lots of positive social interaction between peers. Many events throughout the year (Swimming Party and Barbeque, Spring Social and Faculty Recital, Service Projects, and others) motivate and otherwise support the learning process. These and other activities allow students to gain a sense of reward and gratification in a time frame that suits their natural temperaments. In the spirit of what the Japanese call Kaizen, everything we do is in constant evolution and improvement. Every peak of accomplishment takes you higher where you can see the next goal. We are always seeking that next goal. Our dynamic culture encourages the development and integration of proven methods and techniques into everything that we do. There really is an Academy Advantage! Of course we stand behind our program! If you are not completely thrilled, just let us know within the first four lessons and we will gladly refund your money. Please contact our offices at 801.489.8027 and let us answer any questions you may have. We look forward to hearing from you soon!